I was incredibly lucky to be invited to work with a wonderful family on the refurbishment of their newly acquired North London home.This 4 bedroom modernist house has the benefit of an impressive front to back view, taking in a thoughtfully landscaped garden. 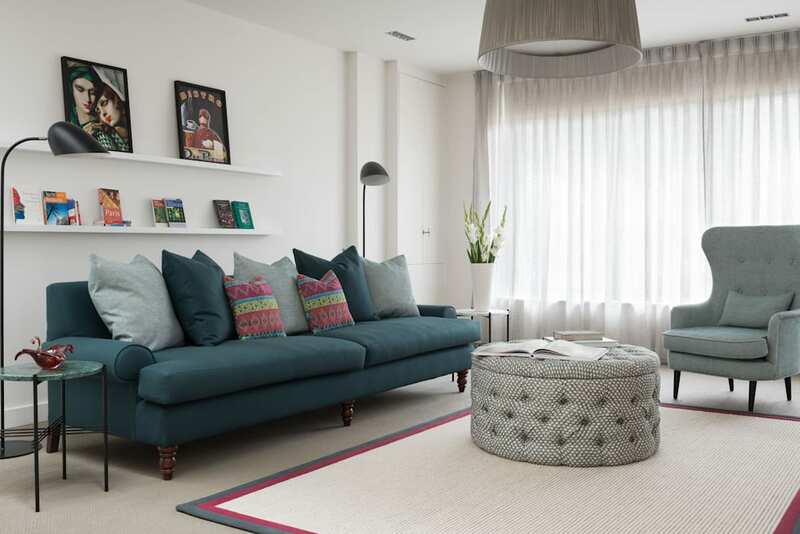 This was key inspiration for the interior design, composing a playful yet functional palette of colour and furnishing, that afforded a young family an elegant and durable living space. The furniture was carefully curated for lean and modern lineage, using soaped oak coupled with black pigment as highlights throughout the palette.